Rep. Mo Brooks from Alabama says he thinks criticism against Sen. Jeff Sessions being attorney general is part of Democrats' plan to create what he calls a racial divide. 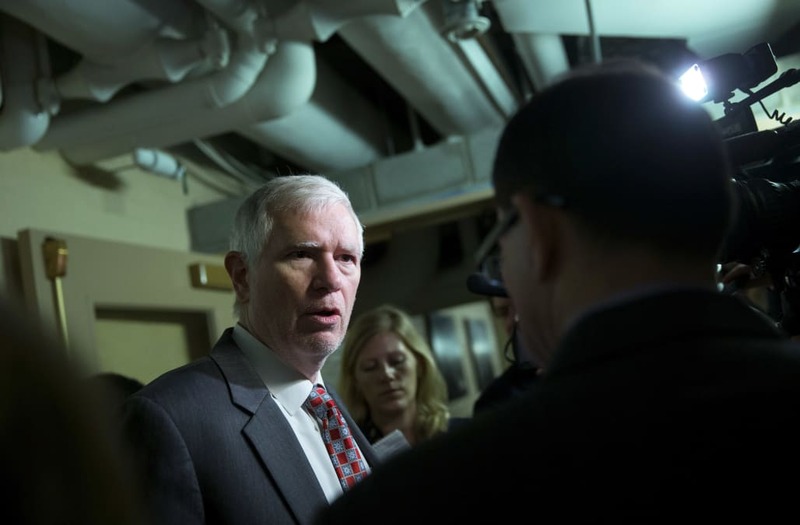 "It's really about political power and racial division and what I've referred to on occasion as the 'war on whites,'" Alabama Rep. Mo Brooks said. Brooks said that during an interview with a Huntsville morning radio show Tuesday. He was responding to a question about Sessions' widely criticized record on civil rights, which has come under even more scrutiny as Sessions seeks confirmation to lead the U.S. Department of Justice. Sessions has fought accusations of racism since the '80s. In 1986, President Ronald Reagan nominated Sessions for a federal judgeship. But during his confirmation hearings, former colleagues said Sessions used racially insensitive language and joked about liking the Klu Klux Klan until he heard they smoked weed. His nomination was rejected after those alleged remarks were brought up. Back then, Sessions said he didn't say those things, and he still denies it. During his confirmation hearing Tuesday, Sessions said the racism allegations against him were "damnably false." The Senate is expected to vote on his nomination by the end of January. Brooks defended his radio show comments in an AL.com story Wednesday, saying, "There are no laws that I am aware of at the state and federal level that permit discrimination against African-Americans, Asian-Americans, Hispanic-Americans or any other kind of American except for Caucasian-Americans." He cited the Diversity Immigrant Visa Program, which makes visas available to residents of countries with low rates of immigration to the U.S., as an example of what he said was a racist program lauded by Democrats.